Welcome to Breezy - River Mountain Cabin. Common area access on the New River. 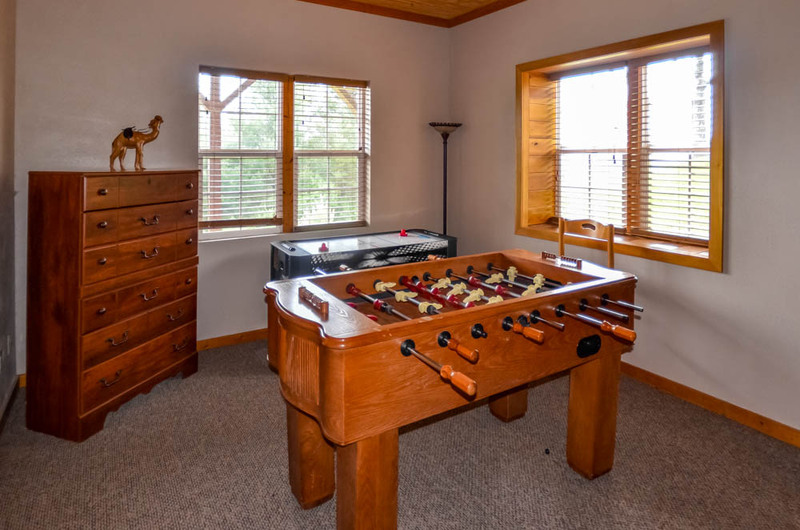 Hot Tub and Picnic Area off the Game Room. Lots of Gathering Space Perfect for Your Next Family Gathering. Cozy Great Room with Gas Fireplace. Master Bedroom with Private Full Bath. Queen Size Bed. 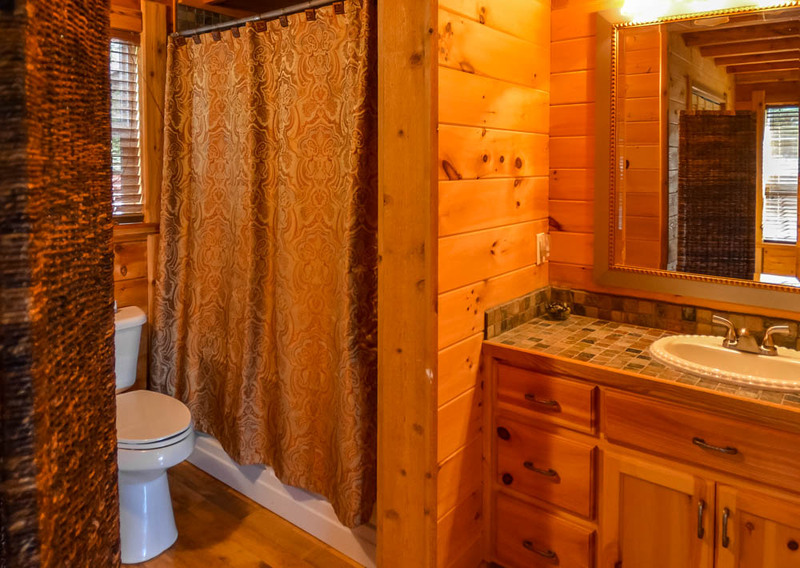 Upper Level Full Size Bathroom. 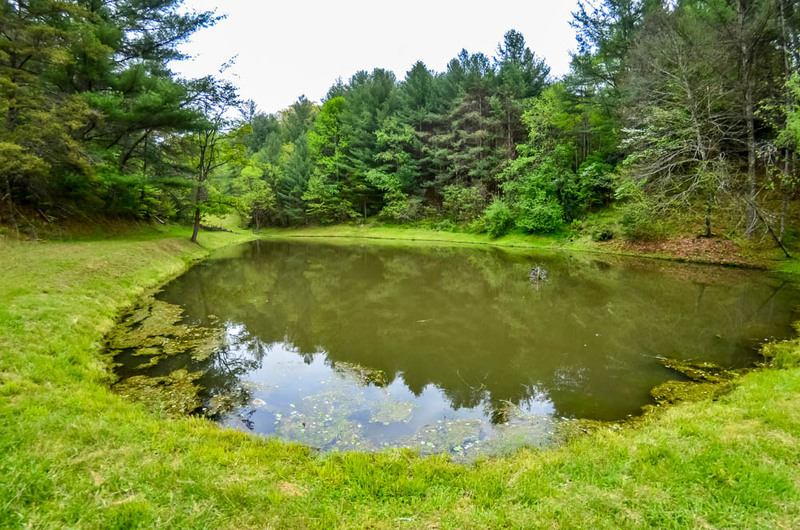 Fishing Pond just a Short Drive Away. New River Access Perfect for Swimming, Fishing, Canoeing and More. River Outfitter Next Door. Picnic Gazebo Along the River in the Common Area. 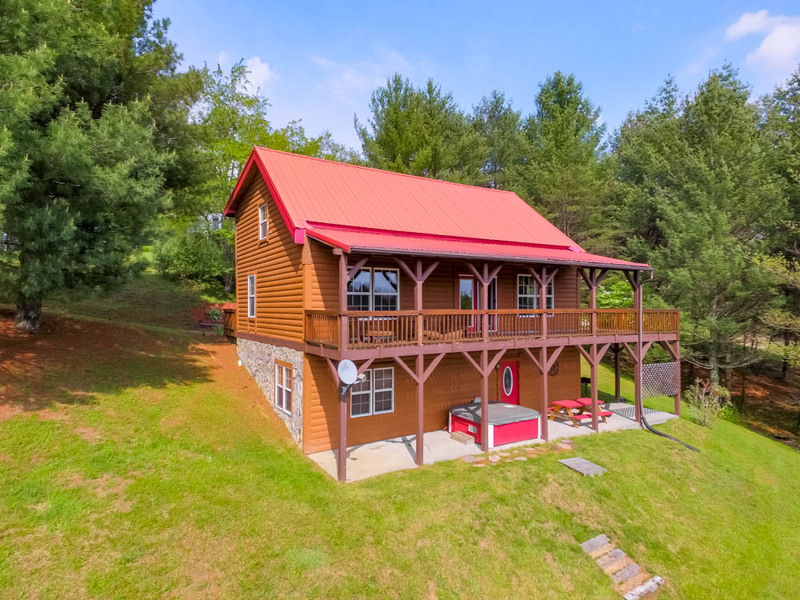 -	Huge wrap-around deck - with long-range mountain views! 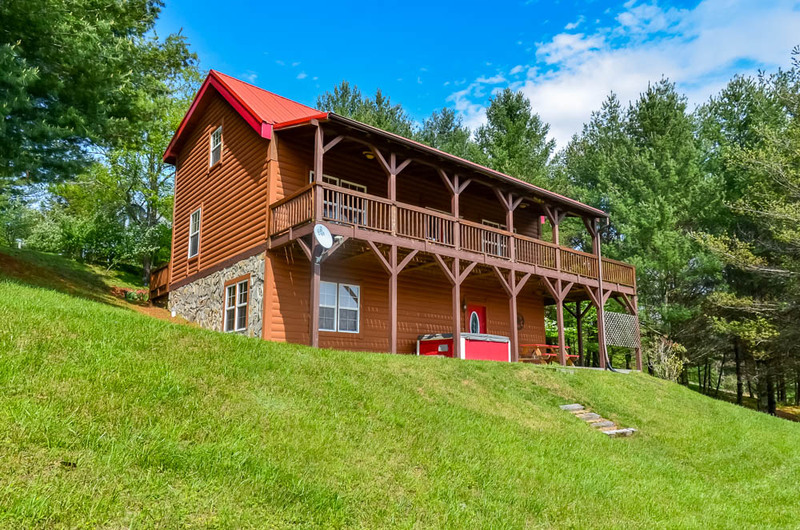 Breezy River Mountain Cabin offers the best combination in High Country ambiance: New River access PLUS awesome mountain views. 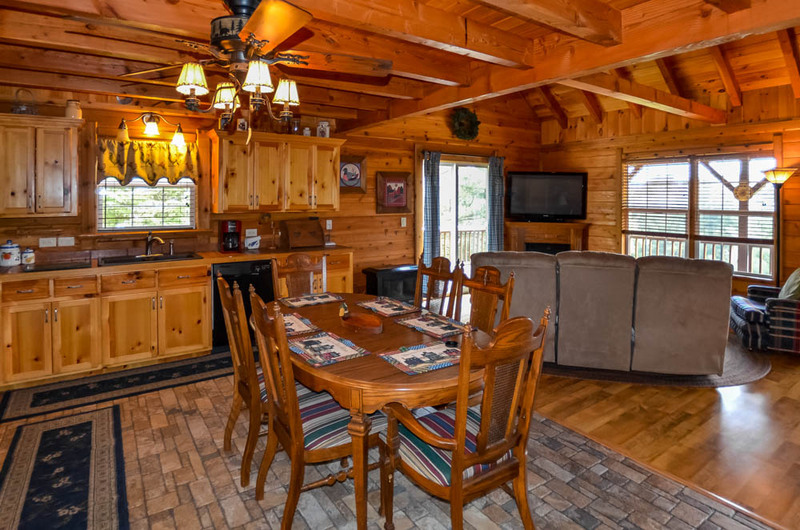 Your family can spread out and enjoy the many vacation amenities of the cabin all within the security and privacy of a gated riverside community. If you've come for relaxation, Breezy is your perfect choice. 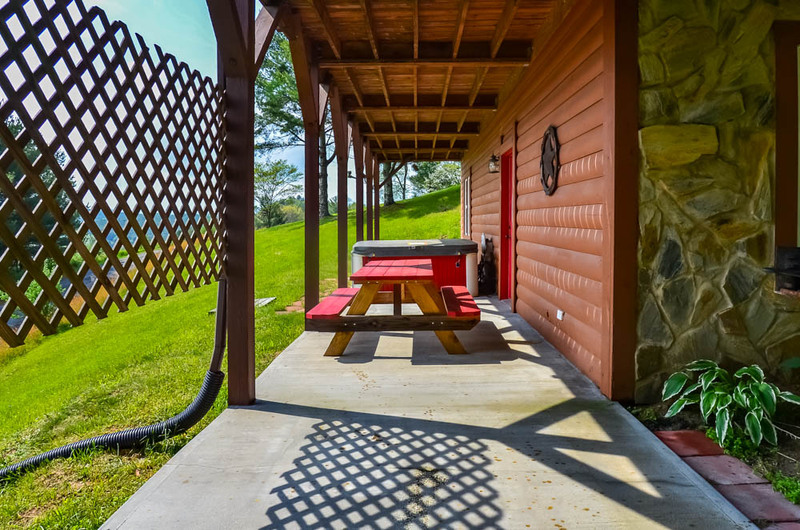 Start with the serenity of our rocking-chair deck and stunning views, then move downstairs to the covered patio with spa tub. 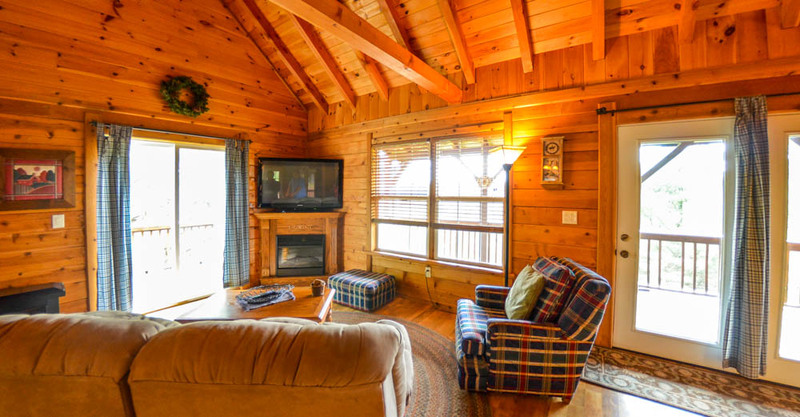 In the great room there's a TV and fireplace, for cozy evenings at home. 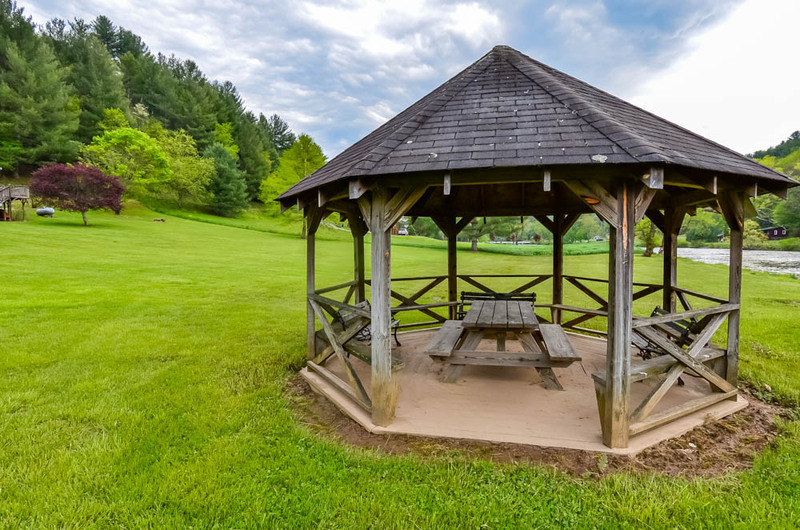 Explore the grounds of the community to find a fishing pond, as well as a gazebo picnic area right on the banks of the New River. Away from the hubbub of urban life, your night skies will become a diamond-studded dome of stars. 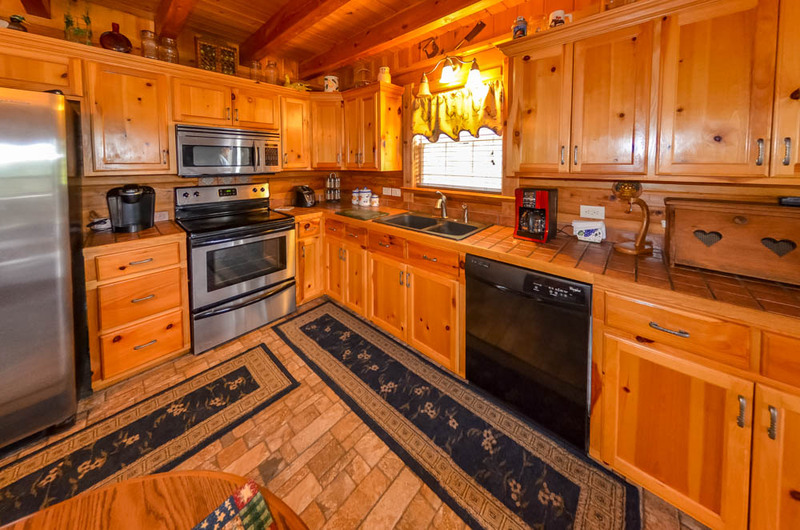 The kitchen features stainless appliances and every amenity you need for entertaining or family meals - including a dishwasher, microwave, toaster, coffee-maker, and full assortment of dishes, pans and utensils. There's also a washer and dryer for your convenience. 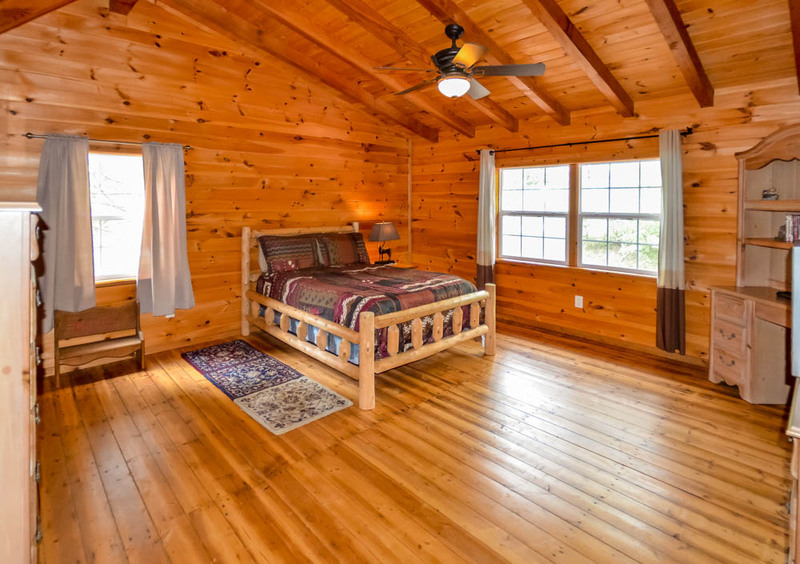 With three bedrooms and three full baths, Breezy provides comfortable accommodations for family or multiple friends. 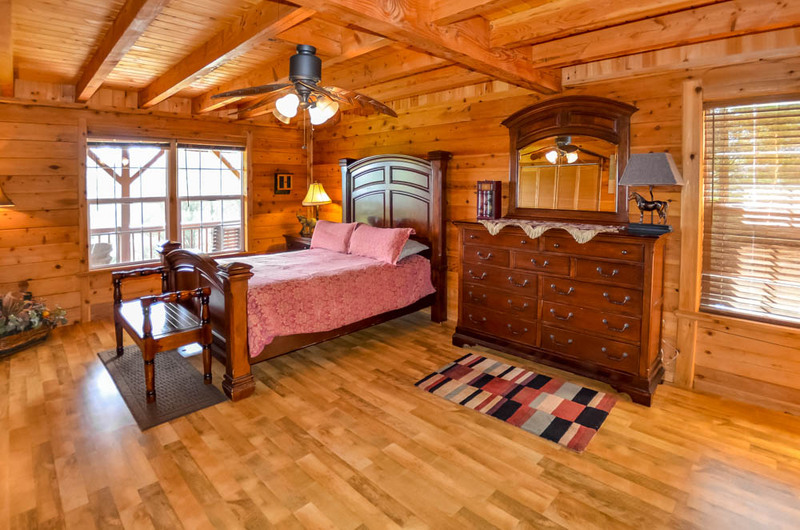 There's a master bedroom on the main level, as well as another upstairs. Both include plenty of square footage and closet space. 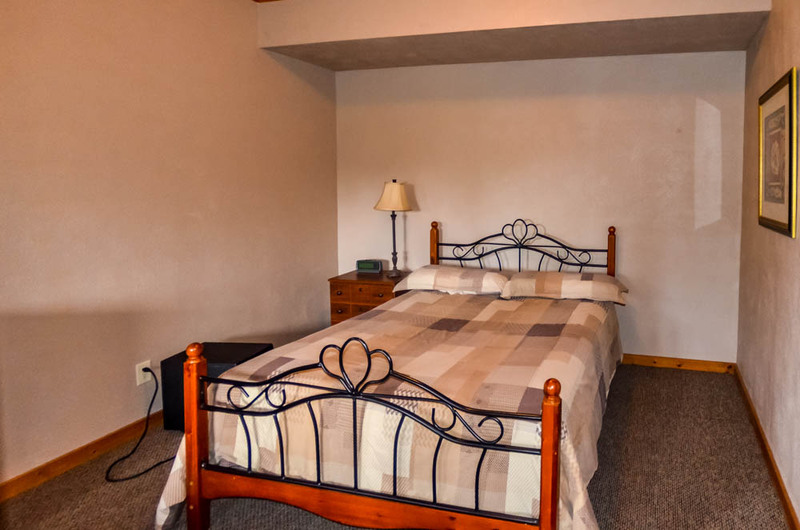 The upper level also offers a den or office, in a loft overlooking the great room with futon sleeper. Down on the lower level, another bedroom and bath accompany the family game/TV room. No one has to share, unless they want to! The mountains, the river, the peace and quiet? this is what you come to the High Country for! 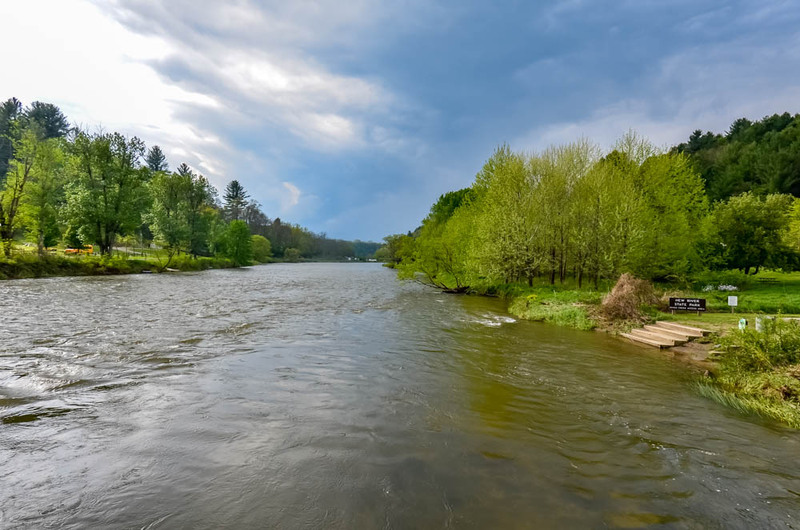 Located in the beautiful River Mountain Estates, Breezy gives you New River access for canoeing, tubing and kayaking, as well as hiking trails and a fishing ponds. 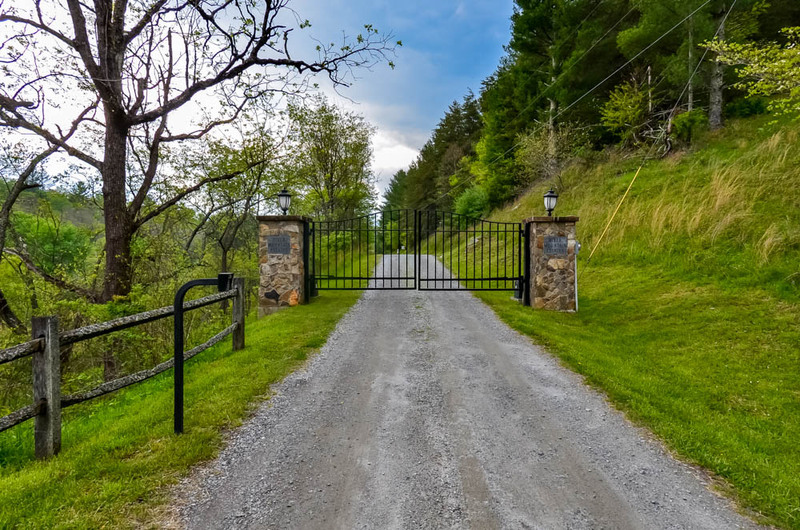 The community is situated a few miles north of West Jefferson and Shatley Springs, in between the New River State Park and the Virginia state line. From here you can easily explore and enjoy a huge variety of attractions and outdoor recreation. The New River State Park offers additional hiking and water sport opportunities. 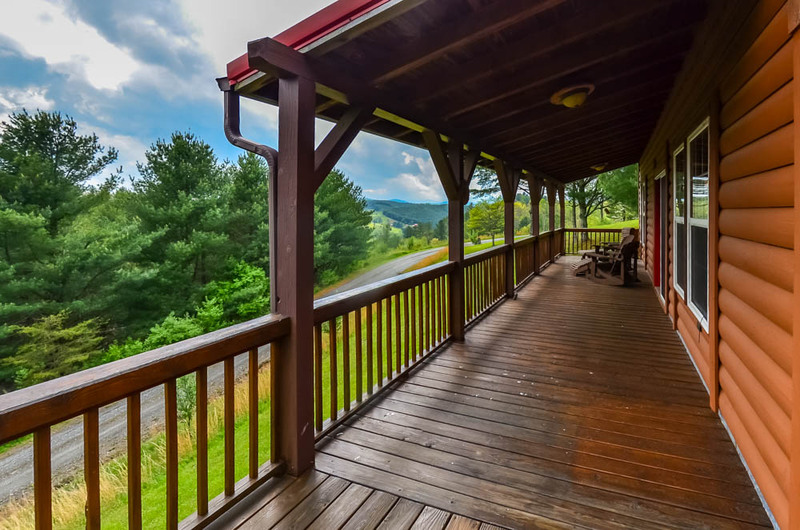 Wherever you go in Blue Ridge Country, you'll find gorgeous scenery at every turn. Our numerous hiking, biking and horseback riding trails provide some healthy endorphins and unlimited photo ops. In the winter enjoy skiing, snowboarding, snow tubing or ice skating at one of the many area resorts. There's something for everyone! For small-town Americana at its finest, don't miss downtown West Jefferson, with its wide assortment of restaurants, shopping, antique stores, art galleries and wine tasting. 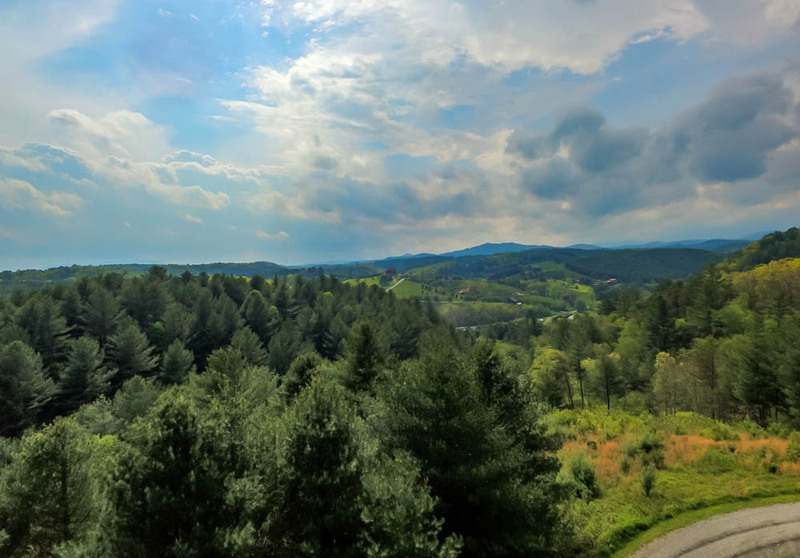 As you venture out to explore the rest of the High Country, check out Boone and Blowing Rock, for an even wider assortment of dining, entertainment and shopping options. Tour ASU campus, find live music and free concerts, or bring home a treasure from an arts and crafts fair. "We thoroughly enjoyed the layout , view and vibes from the place. We spent thanksgiving holiday there and it was well equipped for all you might need to prep meals and then some. The living room sofa sinks a bit in the middle and the hot tub didn’t work very well. But I would consider renting it again anybow"
Thank you for the valued feedback. We are always open to suggestions and thus a NEW COUCH has been added! NEW HOT TUB also in the works for Summer 2019. 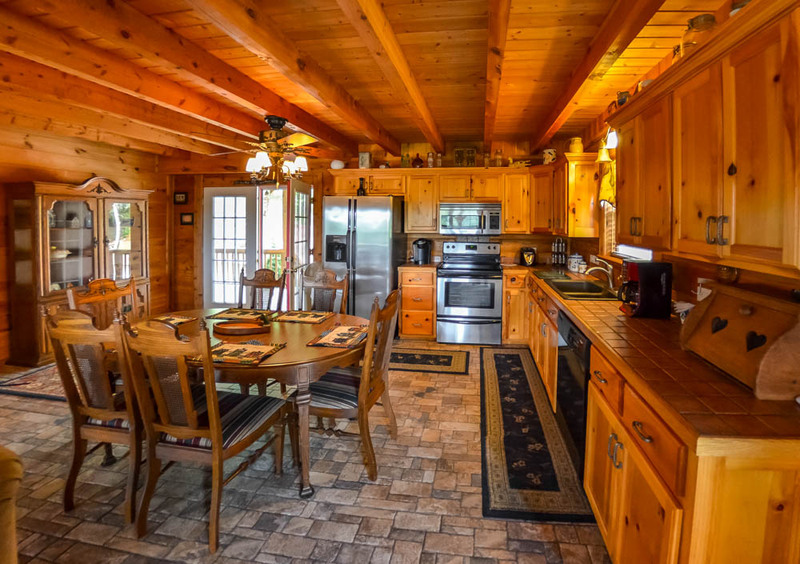 Breezy River Mountain Cabin is a hit year round with mountain views, river access and plenty of room for family and friends! "Everything was great! We would def stay again, however we were a little sad that we were not on the river. From the pictures we thought we would be closer to the water but that didn't stop us from having a great time! " "We stayed 2 nights. Accommodations were very nice. Hot tub is very dated and could stand to be updated. Walls were very thin, you could hear other people in house whisper. Basement is musty, but that is expected with a basement. I would stay again. " 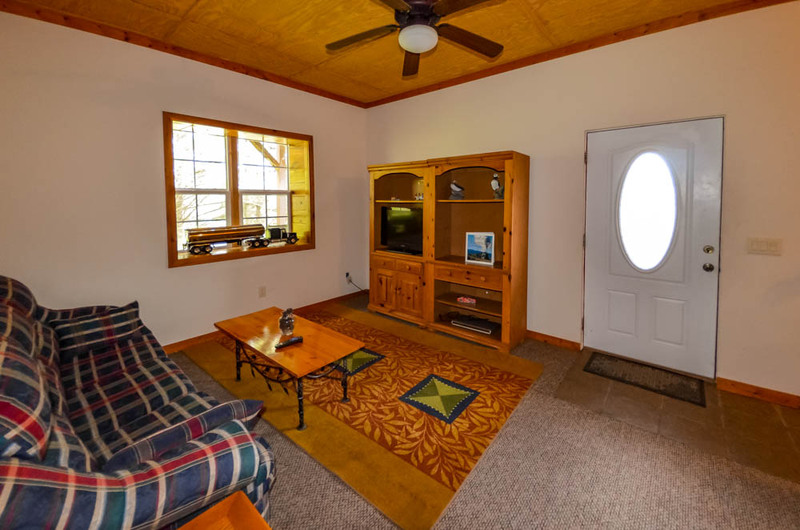 "We have stayed in this little development twice it is very quite and not crowded and has very good river access.The Breezy River cabin was very nice,clean and roomy.We had 5 people,6 would be very easy." "My family and I came for a week and really did enjoy ourselves. The view from the porch was very nice. I'm an HVAC service manager and the owners have three mini splits and I'm telling you that's a fantastic idea I highly recommend people put more in. Great times and I will return"
"great stay one night. had to leave due to the snow storm coming. BUT...the house was awesome, and you all were wonderful to work with especially JUDY!!! Thank you for all you did to get the travel insurance worked out for us. In the future we will definitely plan to use you all again and more than likely rent this same house . It was a perfect lay out for our family. " 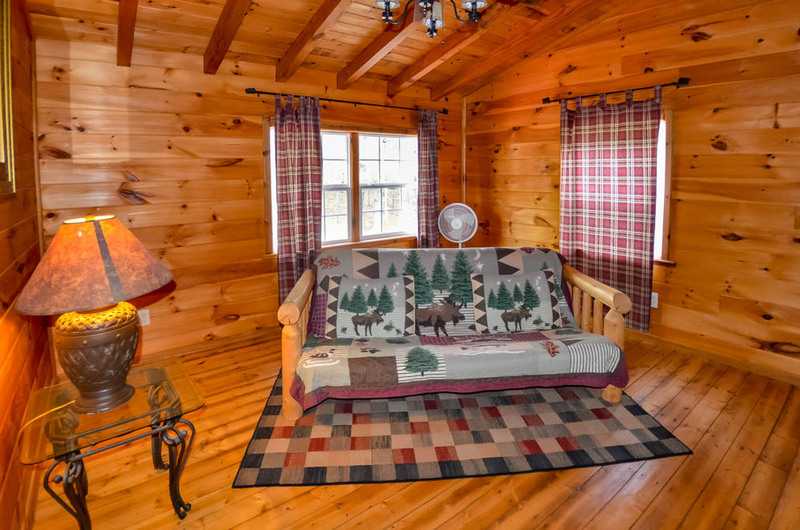 "We very much enjoyed our stay at the cabin. There were six of us plus two dogs and there was plenty of space for everyone. 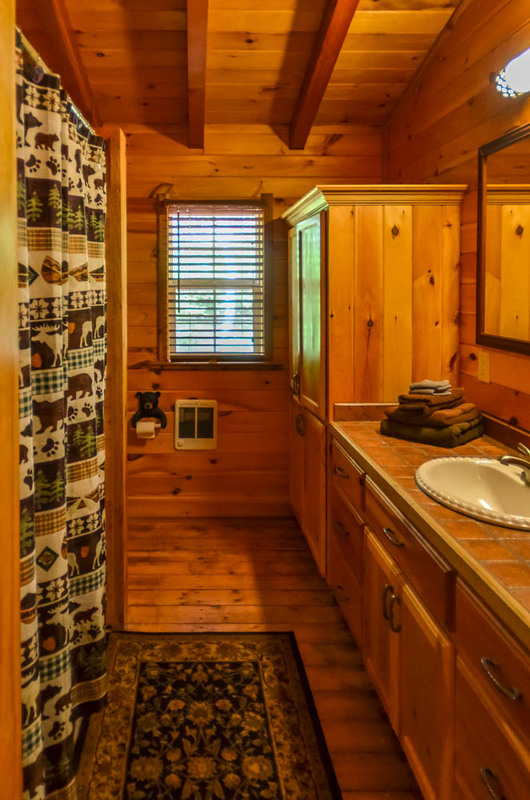 The cabin was very clean and the hot tub made for a nice weekend. The only concern I would have is there is no central heating; therefore the downstairs, I would imagine, could be much cooler the upper floors with colder weather. The staff at Ashe High Country were very helpful and worked to insure that the wireless connection was fixed while we were there. So high marks for them." Thank you for the wonderful first review! 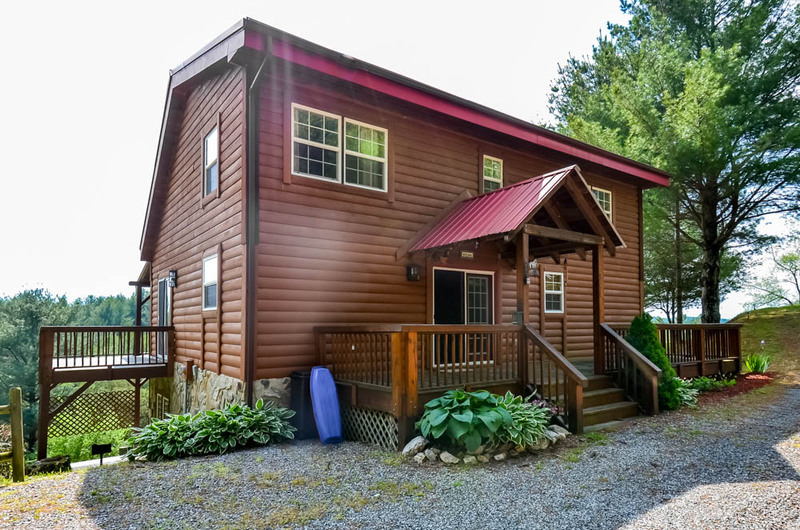 Breezy River Mountain Cabin was just added to our rental program Oct. 2017! Future Guests: Update, forced air heating and cooling has been added to the cabin. 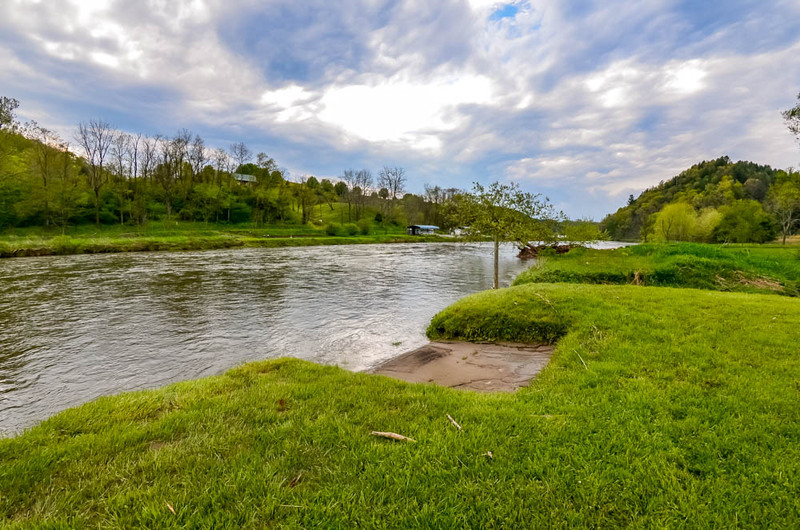 Breezy is located in a beautiful community on the historic New River and offers long range views and canoe outfitters only minutes away.